Learning about Facebook for Business? We can help. "Facebook for Business is a Must-have tool for all digital marketers"
The ease of managing pages and ad accounts for a variety of organizations/ products or brands. I use Facebook for Business to take care of my company pages as well as some non-profits I support. It can be a little complex for first-time users. There are just too many settings and knobs. However, Facebook always works to improve the UI and overtime, Facebook for Business is getting easier to use and manage. 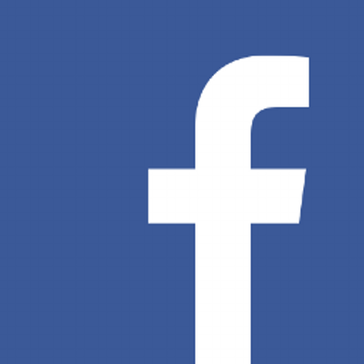 There's a lot of helpful videos and blogs out there about Facebook for Business. I recommend checking those out first. Once you're done, go ahead and set up your first ad account under Facebook for Business and play with the platform. You'll find that over time, you'll appreciate the powerful features the platform offers and the ease with which you can move across different accounts. Content marketing across products/ brands and organizations. Managing different pages as well as ad accounts is very easy with Facebook for Business. Shuffling between accounts is straightforward. "Facebook for Business Helps Small Companies Grow "
As a small business owner, the best part about Facebook Business is the ease and simplicity to advertise. It's an incredible marketing tool with an easy to use platform. It is extremely straight forward and you can filter your audience demographics and market to a specific audience with a click of a button. Another benefit is the range of ads that can be chosen from to fit your business perfectly. With the large number of people on Facebook, this is a fantastic opportunity to reach large numbers of people all around the world. There seems to be a glitch when it comes to running the Facebook Business on mobile devices. I cannot receive messages properly, which can be difficult when I'm not by a computer to respond to individuals. Another dislike is that from the business profile, there is not a way to tag individuals, which would be incredibly helpful for my page. Facebook business provides my company an opportunity to have our videos be seen all around the world. It is a wonderful platform that allows us to share our film stories. Using Facebook for Business had created a lot more engagement on our page over the last year. "One of the best advertising and marketing platforms, for many years." Facebook for business is the best online marketing tool, and is the best for one simple thing, most people around the world, use this social network, and despite the years, it has been running, the number of users, has been maintained and it seems that every day grows more, no matter what new similar platforms go on the market, so, advertising campaigns on Facebook, have a gigantic scope, you can reach all kinds of people, anywhere in the world, and manage all types of marketing research. I have had to modify some campaigns, which they have asked us to do, because some content may be a little different, Facebook does not like it, and they automatically delete the content, and they tell you that they do not comply with their policies, but I am sure that some campaigns they have launched, meet all the standards of quality and security of Facebook, and are also rejected, it seems that this was something automatic, these reviews should be done by people, not by an automatic code or bot. We can launch all kinds of advertising campaigns, targeting specific populations, selecting all types of characteristics, nationality, age range and so on, we create advertising campaigns of gigantic scope and with high probability of acceptance, thanks in part to the work of our developers, but in conjunction with the marketing and analysis tools provided by Facebook. "Not Sure if I love it, But Still Good to Have"
The option of having the business page is great, and it is set up to be very user friendly. The statistics feature is helpful, and I also like the about and event features. Being able to sync with Instagram is a convenient benefit! It is not useful without paying, as unpaid business posts are not shown in the feed to very many users. I also have noticed that I sometimes do not get alerted to messages for some reason, and do not like delaying response to customers. The messaging system is a bit confusing to me. Definitely worth investigating the paid advertising if you want the most effective Facebook page. It is very helpful to at least have one, as many people do use it to look for hours, photos and other info. about businesses. I will likely be trying out more paid options in the future, as I think that is where I need to invest time and money. They does have a wide variety of marketing and ad options, but I don't think that they are all equal in value. "Great Extension Of Our Business Model"
I like the boost feature for posts on the ever-busy Facebook network. Reason being is that friends and clients can all share in on your businesses work. Overall, sharing media on this platform is very simple and there are so many options to choose from. The analytics regarding campaign views, interactions, and reach rate is something other social media sites are lacking. If I could improve this site, I would produce more thorough tracking methods to understand where the current campaign may be falling short. Business owners often struggle with SEO, marketing, and sales writing for the sake of generating new visitors to their page or site and Facebook should help to guide others who may be unsure of their options. Of course this could be fee oriented. I dislike the inclusion of business support materials for educational purposes. SImilar to what LinkedIn provides. I also dislike how confusing it is to link your instagram business page with your Facebook business page if the same email is not aligned. This caused a problem for granting remote social media contributors access internally. Through Facebook Business, it is easy to circulate information, graphics, and links from our current events agenda and our website to the general public. A majority of our current customers interact with us through Facebook which allows us a great sense of awareness from customers about ongoing specials and deals. "Super targeting at it's best!" Facebook for Business is playing a role on several marketing fronts for our company. First, it brings awareness and credibility to our potential customers. Second, it helps maintain and build a brand reputation with our existing clients. And thirdly, we are using the platform to assist us in lead generation on the B2B side as well as B2C. The platform gives our business the ability to target past website visitors, target specific demographics and within a certain geography. Lack of revenue share on sales. The analytics can be too much of a distraction. We have spent over $10,000 on Facebook ads, boosting posts, generating leads etc. And have found that the average customer acquisition cost is a 2:1 ratio. It's very good at placing advertisements in front of the correct customers. Also, a good platform to share updates to those that have liked your business page. On the other hand, it can be difficult to get help with a successful ad copy that will result in a better conversion rate. We are always trying to improve our clicks to conversion and there seems to be a lack of assistance on how you can improve that metric. "Managing your Facebook Page and Ads"
I like how they merge all platforms such as Facebook Pages, ads and messages all into one platform. This makes it easy for me to check the progress of how social media interaction, and how well our advertisement campaigns are preforming. I dislike how clunky it can be at time. Everything is moved around so you are no longer able to one-click schedule post as you were able to on the normal facebook pages. Why is this a problem? Because now it is more of a difficult process to be able to post a photo. If you are considering using Facebook for Business, I would recommend you use it to get the most out of your social media. You'll be able to build a brand for yourself! With Facebook for Business, we are able to freely manage our social media page and interact with our clients. This also allows us to be able to interact with our normal clients. We are also able to set our ad campaigns from facebook all in one place. "Great way of acquiring customers"
Facebook obviously had a huge audience and there is great scope for filtering down to specific audience demographics. We generate a tonne of customers using it. Messenger is becoming more and more useful to our business as we are constantly interacting with our customers through it. There are lots of reporting features and plenty of API's that you can hook into. Can get expensive if you are not specific enough regarding who you are targeting. It can take time to find the right ads that work for you. Messenger takes a lot of effort, particularly if you want to keep a good responsive time. The dashboard can also be a little confusing and can take a bit of time to get your head around. It could probably be made a little more user friendly. The fact that they penalise you for using too many words in adverts is really annoying too. Make sure you are specific when targeting your audience. Find what works and increase spend from there. Try boosting posts as well as using ads. Its a lot to do with trial and error but once you find the sweet spot its great. We use it for customer acquisition and communication with our customers. Messenger is becoming more and more useful to our business as we are constantly interacting with our customers through it. It takes work and you need to stay responsive but the rewards are there. "Manage ads and pages in one place"
Thanks to the large amount of audience that Facebook has, it is really effective to create campaigns within this social network and with Facebook for business it is very easy to do so. With this platform we can reach large numbers of customers and manage everything from a single panel which is really useful. The platform can be very annoying with penalty of your account due to some factors that they may consider abnormal but which in many occasions does not violate any of its rules. We use Facebook for business to obtain new customers and improve the social intent of our page. This platform is very important for our business as we are constantly interacting with each of its functions to increase our target audience and thereby attract more customers within the vast audience that Facebook has. "Absolute Must Have for Your Business!" I love all the tools you have access to, like audience targeting and audience creation, look-alike audiences with suggested demographics and various ad objectives There are so many option for ads and even simple boosted posts for a quick and easy version to reach new audiences. There are great analytics and reporting options, to see how well your ad performs and indicators for what needs adjusting. Saving audiences and re-using ads (like a template) is also helpful. It takes time to get comfortable and find the right options you need, but that is just a factor of all the options available. Also there can be a delay at times when loading the ads/images, but you'll get used to that too. Sometimes there is no indication of how relevant the ad is, and some ads won't get posted if you have the wrong parameters... and you basically have to guess what those are. Over time you'll know, but there's nothing explicit that tells you why your ad isn't successful. Just be prepared to spend a lot of time learning the system, but don't hesitate to start. Additional training courses are everywhere, so take a look at those and get started! We can reach new audiences and scale our ads and social media marketing, this is especially useful for our recruiting efforts. Easy to create a business page. Facebook can pull together a merger between multiple pages if necessary. Other people who are members who “like” our page sometimes facebook posts their liked content in the far right lower corner. We had to delete inappropriate content. In addition, “Interest” pages with similar page as our book title rank higher in google search. Comparing interest page of 1 like and no page activity to our 23 likes and frequent page activity that ranking should not be the case. Facebook has messed up our ranking somehow, which is so frustrating. We have contacted them multiple times to correct the interference of that page with absolutely no help from customer service. This has gone on for two years. The customer service support is almost next to nothing. Make sure you launch the business page perfectly, otherwise it is tough to fix the page later if it encounters search engine problems. Post regular content and updates. Watch out for the members who like the page, sometimes their liked content shows up in lower right hand corner and is inappropriate for your product and brand. None yet, because of the issues Facebook has with interfacing properly with the google search engine and the ongoing traffic taken away by the general interest page rather than the actual business book page. "Very inefficient and needs to be more integrated"
I like that it is organized if you have several companies or advertise for several companies, this platform interface is a good way to separate and group pages together while managing pages and ads and keeping notifications of all centralized. There should be an option to allow certain businesses to be hybrid management, often times I find it very annoying I have to go through the business portal just to manage my personal pages, moderate pages, or check notifications. Its a bit of a dilemma because Facebook Business platform has its advantages, but there should be an option setting for each managed page to also have it integrated within the regular Facebook platform, that way users dont have to constantly go to the Facebook Business portal just to manage their content or review their performance, its just very inefficient. Benefits are clearly that you can have the Facebook pixel separated, which is crucial because if your audience data gets mixed with another business/page, Facebook will not be able to deliver ads as effectively. It has also solved organizational purposes for pages that I manage with large amounts of notifications, Id rather it stay in the Facebook business platform, and not see it in the notifications for my personal facebook account in the regular facebook platform. However, the pros and cons can contradict each other as stated in my dislikes. "Facebook to publicize your business"
Facebook is an excellent social network due to its international fame, so you can communicate with friends and family in an easy and safe way since most people have a profile on Facebook, you can also find groups with whom you share goals in common whether it's about music, reading, sports and more. You can also share on your wall your photos, goals and even the profession to be better known. Some people may express a bad image of your company through the comments of a publication, even if it is not, and caution should be exercised about the people who know the data to enter the account, because they can be passed on to other people and The password should only have people really committed to the company. I recommend keeping the page or the group you have created for your company active, either by showing the products or services offered and inviting more people to follow it so they know more about the company and it can grow much faster. By creating a page on Facebook you can maximize the advertising qualities of your company or business because the publications have no time limit, on the contrary they will remain on the company's wall so that they can be seen by customers or consumers whenever they want, You will also have a more fluent communication with these, whether for orders, thanks, or even attend to the inconveniences that customers express for this. "Improve your business on Facebook"
I like Facebook for Business a lot because it integrates all the functions of this social network into a single platform in order to better manage the marketing of our company in this social network. This makes it much easier to check the progress of advertising campaigns and interaction with the public. Sometimes the platform takes too long to load what is very annoying, although this may be due to the speed of the internet. Facebook for business is the starting point to increase the growth and positioning of any company in this social network so it is widely recommended. Thanks to Facebook for business we can efficiently manage our page in this social network and interact with our customers quickly. Another important point is that we can configure our advertising campaign very easily. The best thing about facebook for business is that it offers a ton of useful features which can be proved to be really great for a business or a company, everyone has a use of this product, facebook for business is one of the best business manager i've ever used and all of its features are useful for all kinds of brands, big or small. The thing I dislike most about this is that it has a really difficult to use interface that requires quite a lot of experience, also its sometimes glitchy when handling large amounts if audience. I highly recommend this product for all kinds of companies, big or small since it can be really helpful and once you get the hang of it you'll be attracting loads of audience to your business. Facebook for Business is used by my company to attract audience to our company and it does it's job really nicely and it has also solved many of my business problems which i had encountered. I like how Facebook for Business is so inexpensive when compared to its competitors. It has an excellent layout which makes it great for all kinds of companies and businesses including big and small businesses too. There are tons of useful features here that are pretty useful for all kinds of businesses. Facebook for Business is sometimes glitchy and makes it difficult for large audiences to visit our page, also the interface is not the simplest interface ever, it takes a bit of experience and someone with little to no experience will have difficulty in using Facebook for Business. I will highly recommend this product for every kind of company since this helps you get a kickstart which might be just what you wanted for you company. It helps reach out to big audiences with little effort and the cost per click is just excellent. Facebook for Business has helped my company to grow quite a lot and has also increased the value and productivity for our company to quite a lot. I cant even express in words how this product has positively affected our brand, Company and business. "What I think of Facebook Business"
This application make it so so easy for me to get my products and store information out in the public. It allows me to create post every day and the key thing is it allows me to properly target my audience so I am sure that my information is seem by exactly who I want to see it. It also give detailed stats and analysis about all of my post. I also love the ability to schedule appointments with my customers using messenger. I was also able to create a store which customer can use to purchase product right away instead of having to leave Facebook and go to a different website. Can i connect with my customers while on the go? Definitely; with the mobile app I am always connected to my business and can respond to all my customers questions or queries immediately. This does allow me to have a very fast response rate. I have been trying to figure out a way to setting up an auction on items in my shop but so far I have not figured out how to. I would love it if I could create auctions for some items and run a public auction. If you are looking to advance your marketing and reach a bigger audience you will not regret using Facebook Business. It is very easy to use. It's packed with data that will help know exactly what your customers are looking for and the time period they are looking. The world is at your fingertips with Facebook Business. This application had solved 90% of my marketing issues. I no longer have to rely on printing flyers or trying to send out post cards via the mail because maybe more than 98% of my targeted audience are young and are active Facebook users. "Great Marketing for Small Businesses"
Facebook for Business is a simple, convenient way for businesses to connect with their customer base and attract new customers. Through their marketing schemes, Facebook helps you to advertise content specifically for your target audience. It is time consuming, and requires a lot of resources to maximize the reach. If you are ready to invest good advertising dollars to give your brand a greater presence in the social media arena, then Facebook for Business is the way to go. Facebook for Business takes the guesswork out of how to reach an audience and frees me up to create content to engage and connect my customers. It has a lot of features that help with what to post and the best frequency. It analyzes the reach and helps you to tweak what isn't working. Customer engagement through reviews and also direct messaging is a godsend because it offers a quicker response should questions or issues arise. I am pleased with this product and would recommend it. I like facebook as a platform to market new products, Promote Sales and flash deals. However Facebook has become expensive to use for small businesses that want to be seen. Facebook advertising could take up to half a marketing budget if you want your ads to run on a broad scale. This at times is not feasible for smaller companies or new startups. This is where big business takes over as they have the budget to flood the market. This can be hard on small businesses who are trying to break into the market. As mentioned in the previous question it is hard to be seen unless you pay a lot of money. Also with all of the facebook changes customers or potential customers may not even see your posts unless they are sure to follow your posts. Most customers may not do this and fewer and fewer potential customers will view what is put out. This is hard when you are a small business trying to be seeing on a larger scale. Consider a few dynamic ads to generate likes and a new following. Facebook is a great free tool to reach out to the customers that follow you. It is nice to see people comment on posts or tag others to bring potential business. We enjoy being able to converse with people and potentially bring people to our website. We have generated new customers through the Facebook tools. We just wish it was slightly less expensive to run ads. "A great way to showcase your business "
It is a great way to show case our business to your customers about the products and services. Customers can also place orders from the Facebook page or have a conversation with the team. . The provision to add appointments is an add on for the business . The API integration works with ease. you can also have The targeting feature for the advertisements is a good way to promote the business to get more customers.Also the campaign dashboard gives an insight to the advertisement and conversion. There are no templates available for campaigns. Few business templates for the advertisement and the campaigns will help novice users to setup their product campaigns with ease. Also the costing is on the higher side compared to google ad words for the same set of target audience and geography. A great social media product for promoting your product and services. We can create good campaigns targetting the right audience for the products . The configuration of the api's can be done easily . Facebook business pages has helped us to reach out to our social media users with our new product launches , special offers etc at a lower cost of customer acquisition. Also setting up of the different tabs and apps was very easy so that customers can reach us with a click of a button. It has increased our revenues and also scalability to new markets .Over all an excellent social media tool for any organisation to get new customers and increase penetration in the market. "Customer Friendly & Easy to Use!" I love being able to make specific albums for my biz photos, the ability to book a service directly from my biz page, the ability to comment / interact as the business instead of my private profile, and the FB messenger auto responder. Making an ad on FB is super quick and easy and very streamline. I like being able to schedule social media posts ahead of time. I dislike checking Facebook page messenges from my mobile device; I always get a "message not available" error, and that can get quite frustrating when a customer is waiting on an answer from the business. I do not like how as the business, I can only tag other businesses/ groups/pages, but not people's regular profiles. I recommend using Facebook ads feature as a great way to boost your business and get ideal customers to interact with your content! I am able to upload posts to schedule, so having a system where I can schedule out content is amazing. I am able to have my customers/ clients sign up for my newsletter directly from my biz page. I love being able to run a giveaway directly from my FB biz page, too. I like that I can reach a much wider audience than I can through simply having a website or even through my regular Facebook page. Using my business pages I am able to post as my business and share my posts in groups that are relevant to my business thereby reaching new customers while keeping my business separate from my personal page and information. I can respond to customers as my business rather than as myself, which is important sometimes. The business page also allows me to add products, have an email list signup, offer discounts and schedule appointments. And prospective customers can reach me quickly and privately by messaging me, which I see immediately on my phone. I don't like that now people have to both "like" and "follow" my page if they want to see updates as it is an extra step that many don't think to take. But overall, I still think the pros outweigh the cons of using this platform. If you are consistent about updating and adding new information this can be a very useful platform for your business as a lot of people are on Facebook and check it daily. I am reaching more people in my niche as I am able to post as my business in groups and discussions. I like that I can choose to interact with customers as my business rather than as my self (personal page) so I can keep those two aspects separate. I like also being able to reach potential new customers through Facebook advertising through my business. I like that is is easy to use and there are a lot of guidelines and tutorials to help anyone use the service regardless of past experience or expertize. The online forums and community help are very useful too, as you can often find answers to all of your questions. With the recent development of algorithms, it seems like Facebook for Business is becoming less and less accessible to small businesses with not such a great budget and capacity. Make sure you understand your budget and if it is tight then make sure to weigh all your options and ask for support, fully utilize the tutorials or free calls that the Facebook fr Business is providing in order to make sure you are maximising the results. For my business I have been using Facebook for Business for advertising and generating both engagement as well as traffic to the website and leads for our services. I like that Facebook offers this option for small and large businesses. It is easy to set up which product you are wanting to boost and also the amount in which you are wanting to pay and for the duration of time you are wanting your advertisement to run on the site. I don't like that you can''t do an automatic pay option on an ad that is running, and that you have to wait on the draw-out date before it will take a payment. I would recommend using Facebook for Business because it is easy to set up, it is good to attract consumers to your shop or business and it is cost efficient for anyone. Where most companies would charge a huge sum of money to use their product, Facebook for Business lets you decide which plan best suits your advertising needs. Facebook for Business helps me get new followers and gives me more time to work on my products than having to spend countless hours setting up an advertisement. "Great for Companies that Manage Multiple Brands "
Since moving all of our accounts under our umbrella company account, it makes managing ad accounts, audiences, etc. much easier and more streamlined. I also really appreciate having my work social media duties separate from my personal social media notifications. Permission levels are also much easier to manage now that all the users now reside under one main account. There's no integration with Instagram for Business other than connecting the Facebook Page to the Instagram account. I really wish I could manage, schedule posts, view analytics in Facebook for Business. I've also found some of the features to be a bit glitchy. For example, sometimes Facebook for Business will show I'm working in a different Business Manager account (I'm an admin to 3 Business Managers). This is great for managing ad campaigns, permission levels, separating business vs personal accounts, and much more. However we still use a social media management tool for other things like post scheduling, analytics, and community management. Much of this is because Facebook for Business does not do many of those things with Instagram for Business. Ad campaigns and spends are much more transparent now that multiple people can be added to an ad account with the appropriate permission levels. It also helps to have a bird's eye view of each account's performance on the main Business Manager page. Now I can quickly assess how each Page is performing (Likes, Reach, Engagement) without having to open each account's Insights page. "Great for promoting our businesses to a wider range of customers"
I like the ease with which we can update our information to get it to people following us, as so many people are avid Facebook users. We frequently post in relevant groups which drives traffic back to our business page as people in the groups interact with the content we post. We are also seeing people responding to buttons such as the one to sign up for our newsletter and to purchase products online. And we frequently cross post from our website, blog and Etsy page to and from Facebook which makes it easier to get our information to as many people as possible. It is also nice to have a place for people to post reviews that others can see and read. Facebook has made it more difficult for business posts to be seen, now requiring that people "follow" in addition to "liking" a page. Not everyone understands the need to do this, so we have to be sure to mention it in EVERY post we make. Because so many people use Facebook it is a great platform for getting your business where more people see it; provided you update regularly, remember to tell people what to do (follow your page, sign up for your newsletter, etc) and post in relevant groups. We are reaching many more people than we would be able to reach otherwise. We own a low sodium bakery, which is a very niche market, and Facebook allows us to target this demographic by posting content in relevant groups (related to low sodium recipes, kidney and heart disease, etc). It also allows us a quick and easy way to interact with our customers as we can answer questions quickly and address concerns when people post in response to our content. "Must Have for Today's Business!!" I like that it's fully integrated with the Facebook platform we all know and love. It makes simple marketing tasks much more effective through the use of sharing to friends, targeted posts, and boosted posts. The ability to target key audiences in your area is crucial to building a customer base outside of friends and family. It allows your business to reach a far greater audience than traditional marketing. It also help business owners keep in touch with current clients so they continue to use your business. I dislike that posts with words are lost in the Facebook newsfeed algorithms. Sometimes a post is buried deep in someone's feed, and unless you pay for boosted posts, they aren't likely to see it. Adding pictures or videos makes it much more visible, but only at a price. I understand the news feed is going through changes due to recent events, but it would be nice to see Facebook help SMALL business (Mom and Pops) remain seen to users. Just do it. While traditional websites are still a necessity (we have one as well), more people across the world look to Facebook for information. If you don't have a Business Page out there to engage potential customers, you are missing out on a huge piece of marketing gold. The key benefit to Facebook for Business is reaching out to people that otherwise may not come in contact with your business. Facebook allows you to be visible to customers in other cities nearby, to friends of friends that you may not interact with regularly, etc. I've gained many clients through Facebook posting, most of them unrelated to my current contacts. Facebook also allows for much easier communication with current clients through messenger. "Great Platform for Social Media Presence and Marketing"
It is FREE to create a Facebook for Business account and you can manage everything using the console. You can also include a live chat on any websites using Facebook Messenger, and specialised tabs for any kinds of business. With the Facebook API, you can have everything you needed about your customers for your interactions! Know their names, emails, ages, genders and more. Even better, the Facebook Advertisement is also an awesome tool that helps grow your business. There are too much to talk about Facebook for Business, it is best for you to just TRY IT OUT! Don't worry, there's nothing to lose, not a single penny. The consoles and API are a bit hard to manage, other than that, this tool is almost perfect! Facebook for Business is a free and awesome tool for promoting your business and even to managing your business. It is like a business website but with potential customers everywhere, there are also people abandon their company website after using it. To unleash its full potential, it is best to try out the advertising function. A budget of $150 should get your business sky rocked! It has very limited support though, please have that in mind. We are looking for social media presence to grow our business and bring more customers, Facebook for Business has everything we ever needed and even those that we haven't heard of before! I love that Facebook makes it easy for businesses small and large to reach new customers at a cost that works for them. I like the options for creative and I like that Business Manager houses all your assets in one place. Facebook Ads Manager can be difficult to use for inexperienced users. I also don't like that new updates to Ads Manager are not well communicated. It's not easy to see new features or features that have been removed. Every day that you login is a mystery! 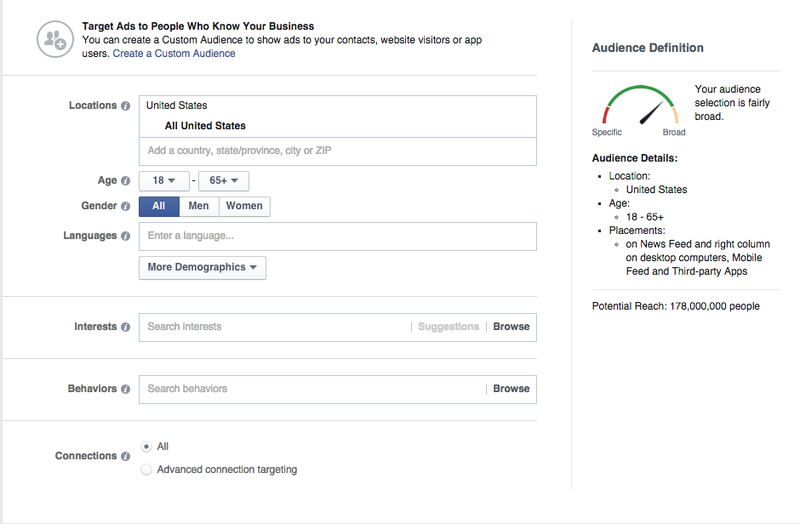 Facebook recently made changes to their targeting options and the wide array of options is now more limited. Facebook is more beneficial now if you have customer lists that you want to retarget or you have a website with a Facebook pixel. "Perfect to grow your business"
We constantly use Facebook for Business to create campaigns and keep a constant monitoring of the activity of the public with our page. Facebook for Business has great functions to achieve an adequate segmentation of the audience and a variety of data that can easily be analyzed to improve each new announcement. We have noticed that some ads take a long time to execute and then remain at a very high cost especially in the first hours of execution. We have used Facebook for Business to increase the audience of our page in this social network. The use of this platform has greatly facilitated the constant monitoring of our audience and the drastic increase in the amount of audience that interacts with our content. "Still a cheap price for the advertising"
As a person who has been using this platform for some advertising for many years, this platform not only gave me a good opportunity for advertisement but a great platform for brand awareness and marketing campaigns. I personally think that the price that Facebook for Business is offering (depends on campaigns and lengths, etc) is still very cheap compared to other marketing or advertising platforms out there, period. I personally feel that price is still a big factor with this platform and I seriously urge people to use this platform until the price stays cheap and strong for any users. It's a must-use for any business that needs exposure and impact and would be successful in specific targeting or campaign measures depending on how much you spend. I guess the price has been surging over the years. This may be a good thing and a bad thing. It's an immediate bad trait since the user has to pay more for advertising and paying more for the business. However, it is also a somewhat good trait since the surge in price means the Facebook for Business is working and is very effective enough to increase the price and still impact millions of people if wanted. Get in with this platform as the price is still cheap for the platform. Facebook for Business is literally solving a solution for any business that wants exposure, advertising, selling, and much more depending on what you need for your own business. "Better to develop the business leads ." Best thing to connect socially and gets more leads as this is a platform which is connected worldwide. . . . . . . . . . . . . . . . . . Nothing to dislike.Since I can focus more on advantages. Focus more on advatanges than disadvantages... . . . . . . . . . . . . . . . . . . . . . . . . . . I recommend all to use Facebook business to improve their business lead and then their profit. I got more leads through Facebook which I can convert it into business. Since this platform is globally connected and widely used, I can get my products into more people. We can solve the problem like lack of getting leads for the business through this facebook business. "Necessary but not super effective"
I like the credibility the FB page gives me. I think that my business benefits more from Instagram and even Pinterest, at this point. I do like the features of FB for Business when I log on but I'm not yet ready to spend a TON on Facebook Marketing, for my photography business anyway. It is a lot more effective for my product businesses. FB business pages and its contents don't usually get as much exposure as they used to. Navigating FB pages is also complicated and cluttered. Facebook gave our business a huge start when we first got on board with Facebook Business Pages but now it's proven to be pretty ineffective. The audience targeting is sometimes not the most accurate. You would HAVE to install FB Pixel for this to be a good tool for you. I would use this as part of your approach but not as a basis for all of your marketing strategy. When someone is looking up a business, they pull up Facebook immediately to see if they have a presence there (particularly an active one). I'm boosting my credibility for my business by using FB for business! "Facebook for Business is Great"
It's a free, pre-built website, that everyone uses and knows how to navigate. For business users who understand basic principles of advertising like design, copy, and call to action, plus how Facebook's advertising tool itself works, it's a great solution overall. It offers a variety of options and prices without being too pricey (unless you're willing to pay more) and will get you more likes/followers. 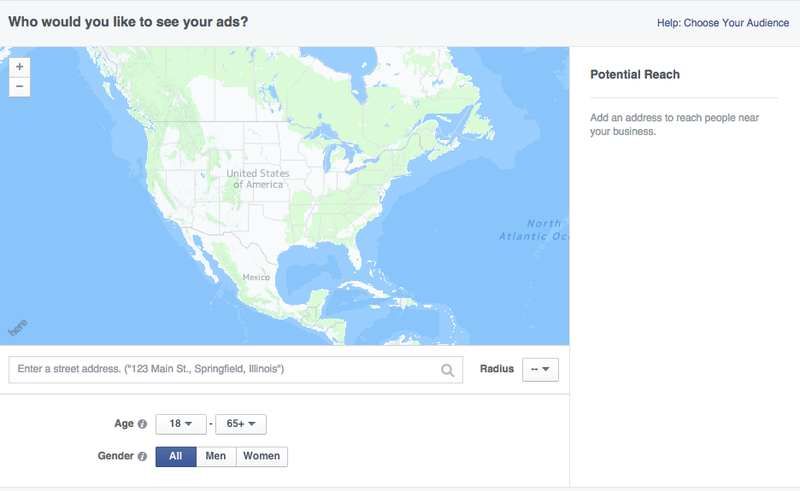 Facebook makes it relatively easy to understand how to market yourself without having to do too much research since they do a lot for you (if you pay) but you can also easily control how/how much you market yourself without having to use that option. It's Facebook. Commonly thought of as an unprofessional social media platform. For some, it's hard to get around the stigma. The paid marketing/advertising feature is so-so. You have no idea who your page is actually being marketed to. I work for a small business and it's hard to justify paying for FB marketing when your page is shown to random people. For us, we have a very specific target market (mostly locals) and rely heavily on word of mouth from current/past clients. Do your research before paying for ads/to be marketed to target markets. Have posts lined up in advance so you aren't scrambling to post something. Link your social media platforms! It's a free, pre-built website, that everyone uses and knows how to navigate. We have our own website, but it is definitely easier for someone to click on FB to search us, and when a business doesn't have a Facebook page, it's almost unheard of these days. "Facebook for Business does what I need it to"
Facebook for Business is a good platform for me to be able to showcase my brand and connect with my audience. It allows me to view insights to understand my best content and my audience, and running campaigns and ads are pretty simple. While my brand is a blog, I don't have a product to actually sell. Sometimes this makes Facebook for Business difficult because it is geared towards a physical place of business. I would recommend this for any business whether it is to have an online presence, sell your products, or run paid campaigns, I think it has some useful features for any business. I do like to use this to connect with my audience and grow my followers, as well as run campaigns on blog series that are coming up or I am trying to promote. Good integration between Instagram and Facebook. When you're managing a business and/or ad accounts, it's hands down the best way to protect your time. It's a simple layout to manage various assets such as pages, ad accounts, audiences, and ads. Their targeting capabilities are leaps and bounds ahead of other social platforms like Twitter, LinkedIn, or Snapchat. Changes constantly, not always for the better. Some changes are announced ahead of time, while others just seem to pop up. It's an incredibly buggy platform that never seems to go a week without an issue. If you spend enough to get an account rep, they're typically pretty helpful. If you have to go through chat support, they're honestly one of the more unhelpful support teams I've ever seen. They almost always know less than their average user, so it can get pretty frustrating. My review may not be the most positive, but it's a must-use if you're managing a business and/or ads on Facebook and Instagram. We manage around 70 clients' Facebook pages, Instagram accounts, and ads. Without this tool, we'd need to 5x our staff just to manage all the day-to-day work. As stated in my title, Facebook for Business has a plethora of bugs, shortfalls, as well as an utter lack of support for the product; however, it's absolutely vital for marketers to use for their social business or client's business. It's best just to power through the issues and get the most you can out of the platform.